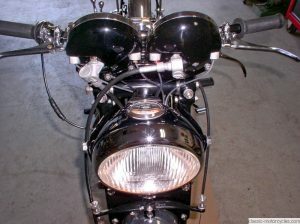 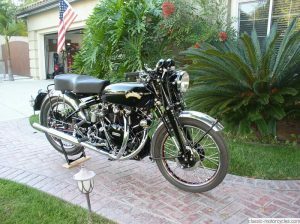 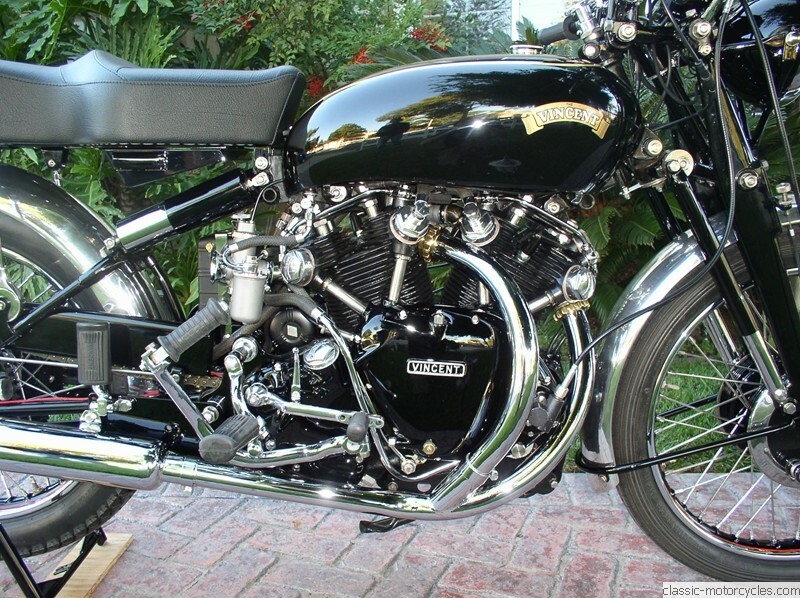 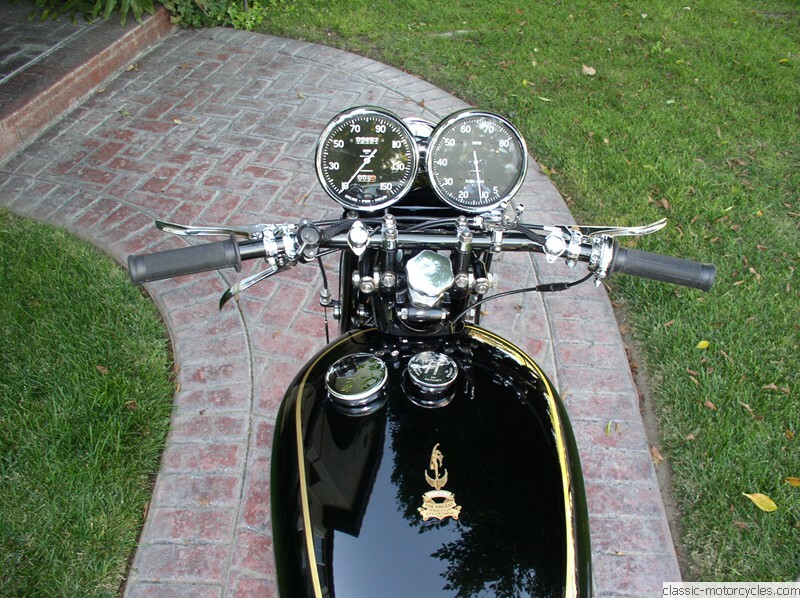 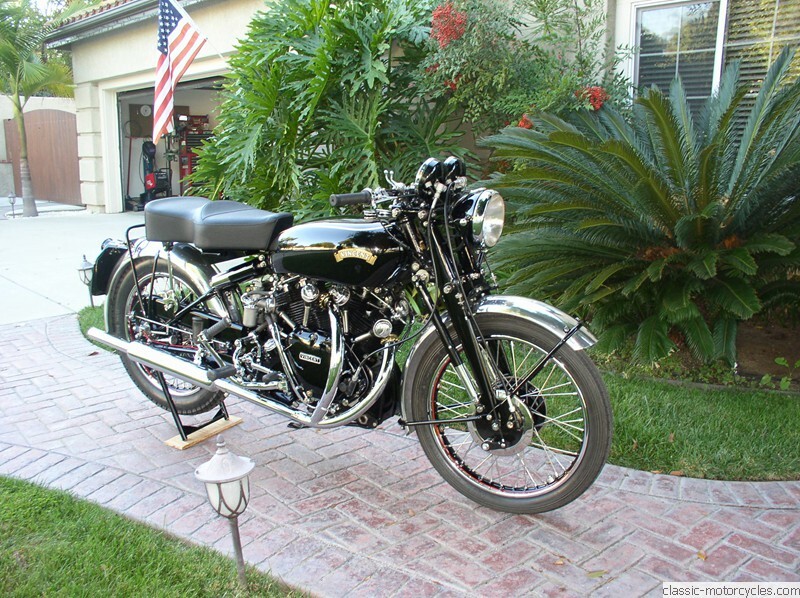 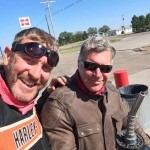 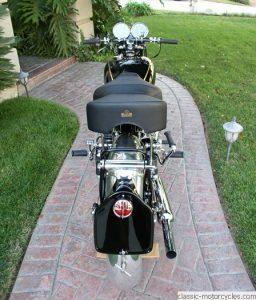 This is a matching numbered 1951 Vincent Black Shadow Series C. The motorcycle got its name “Black Shadow” because the entire bike, with the engine, was colored black, including baked enamel on the crank-case and covers. It was a hand-built motorcycle produced by Vincent HRD beginning in 1948. 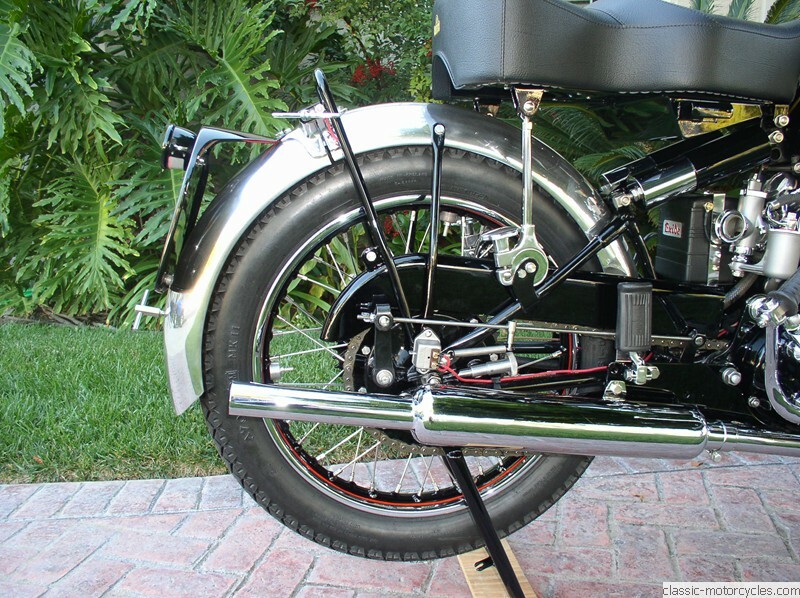 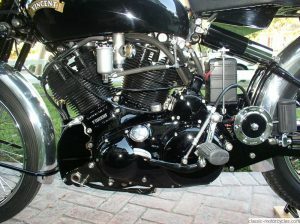 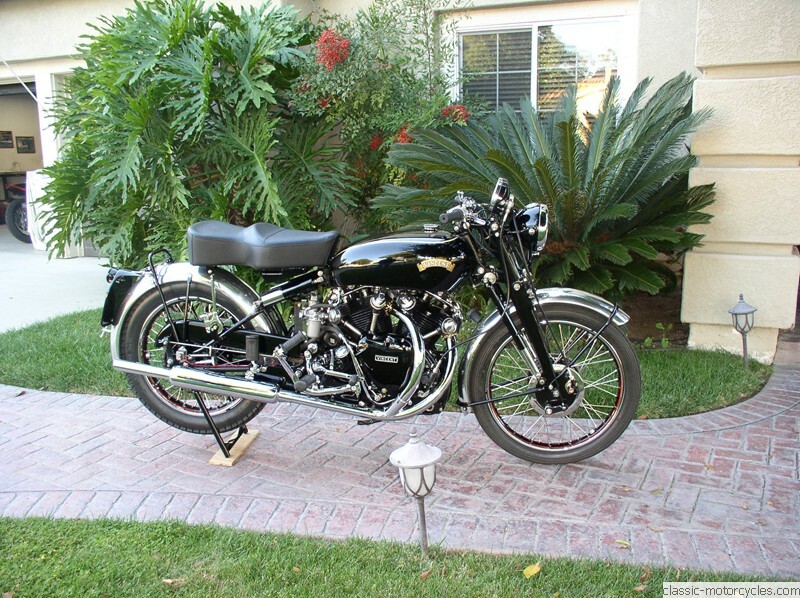 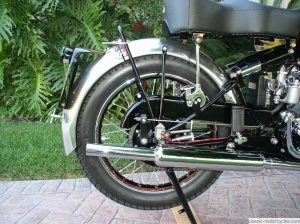 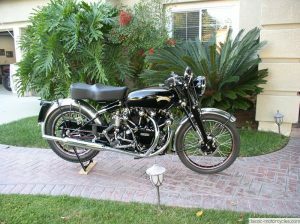 The series C, which was introduced in 1949, had a 998cc OHV V-twin engine. 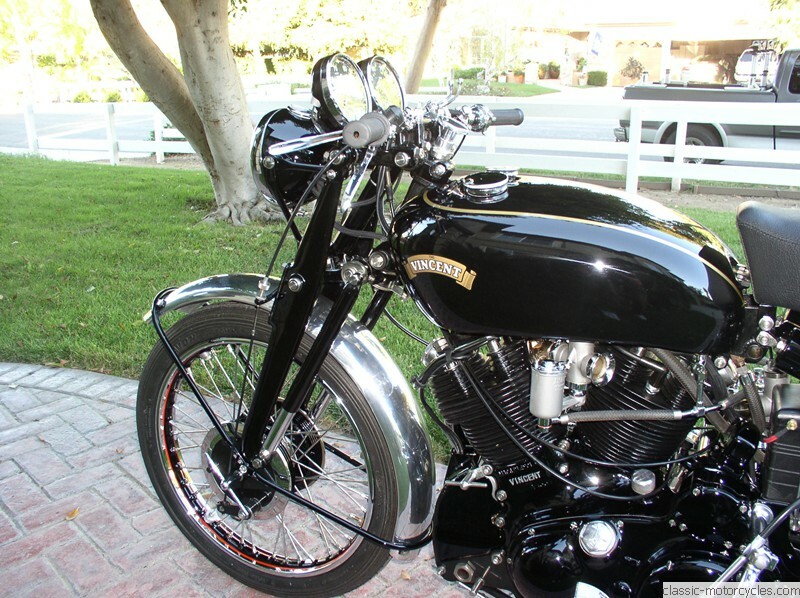 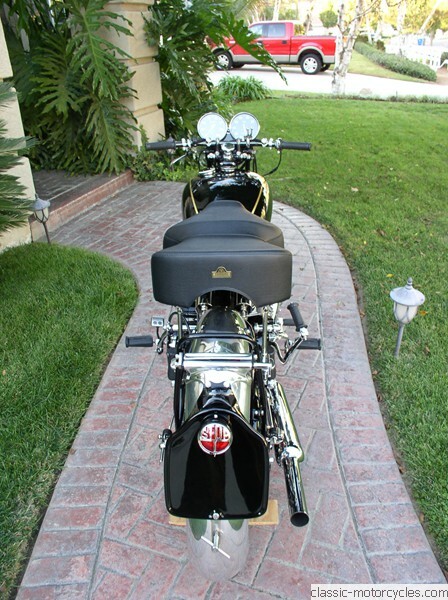 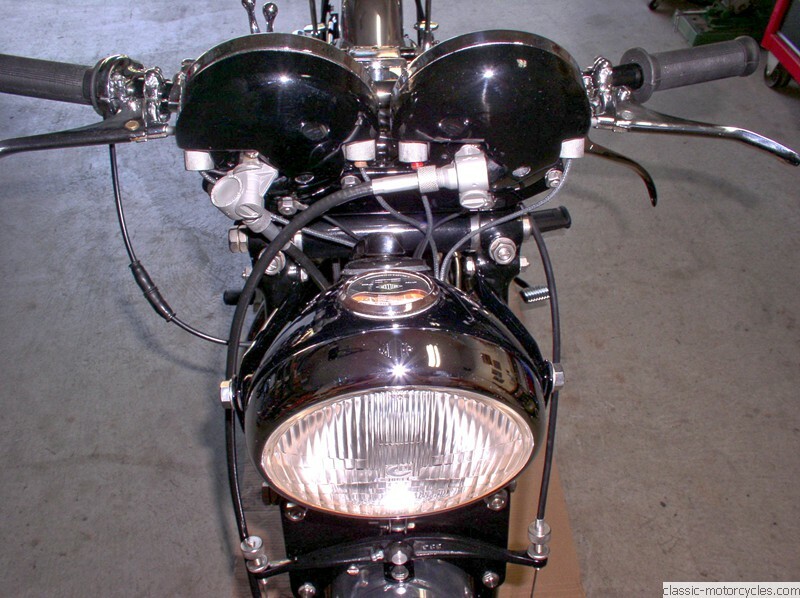 Ziggy completed a ground up restoration of this Vincent Black Shadow in late 2013. 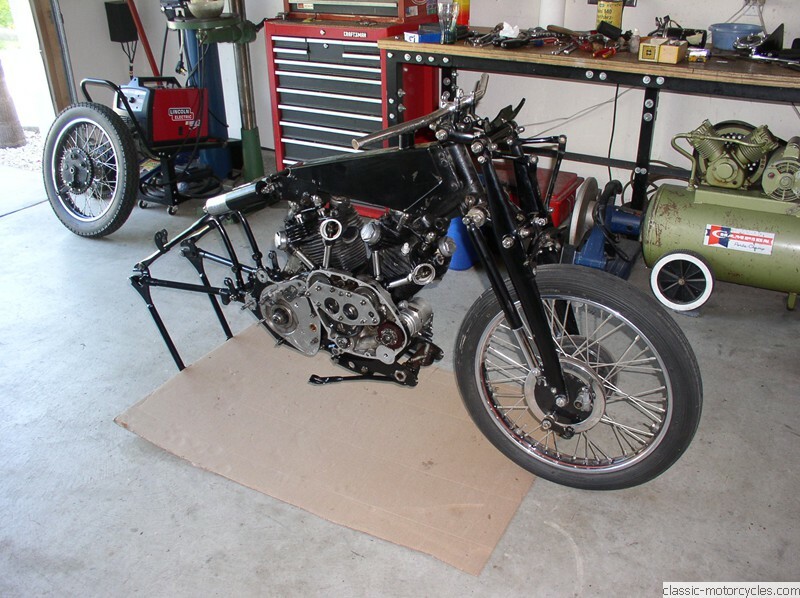 Below are photos of the restoration process: parts painted and powder coated, the build process up through a rolling chassis. 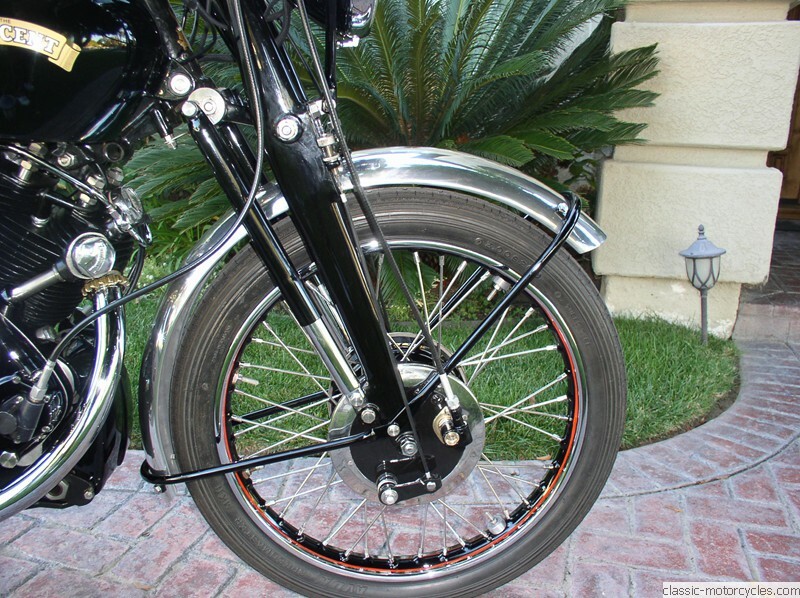 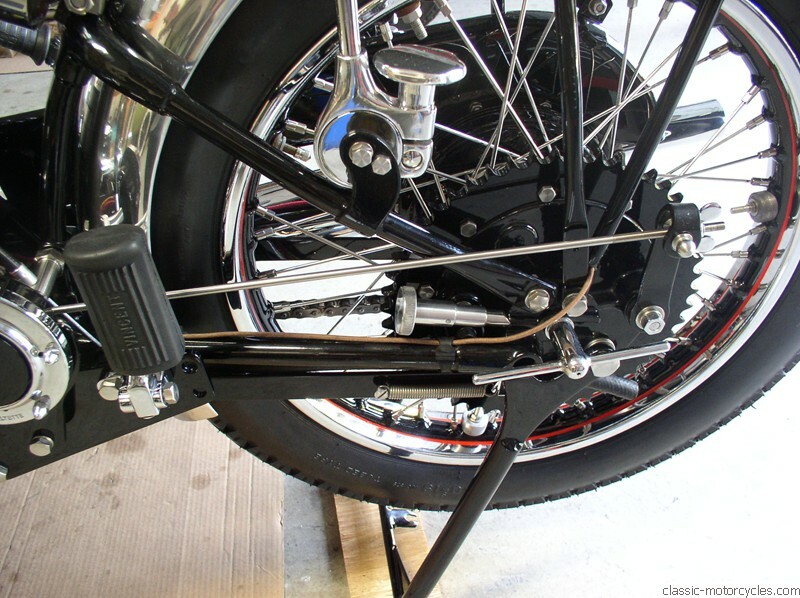 Below: electrics and rear wheel coming together. 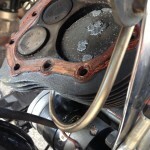 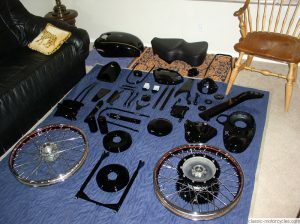 In the final pic the bike is about 85% complete. 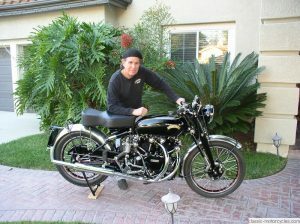 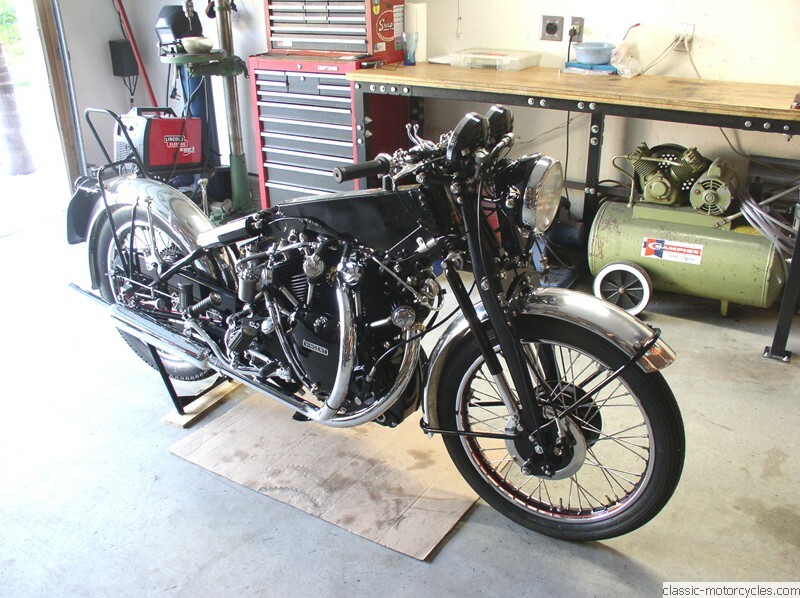 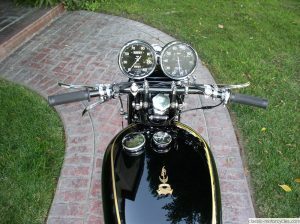 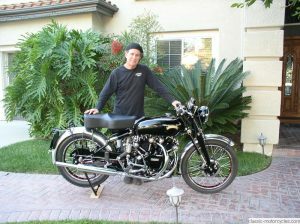 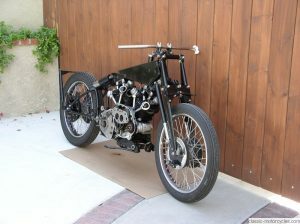 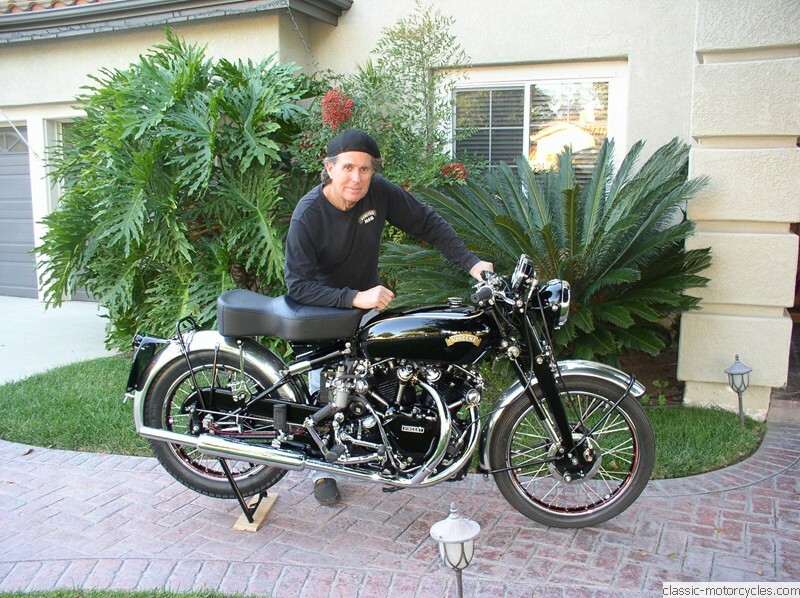 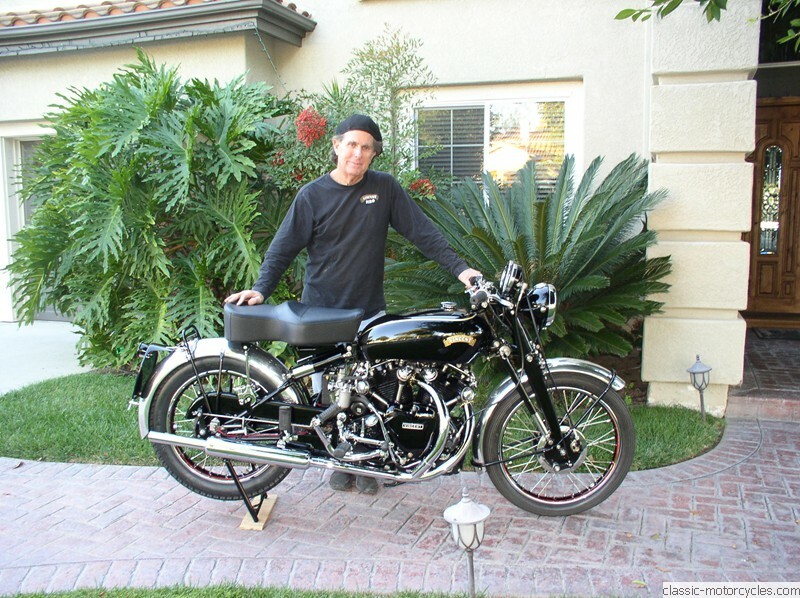 The completed restoration of the 1951 Vincent Black Shadow!